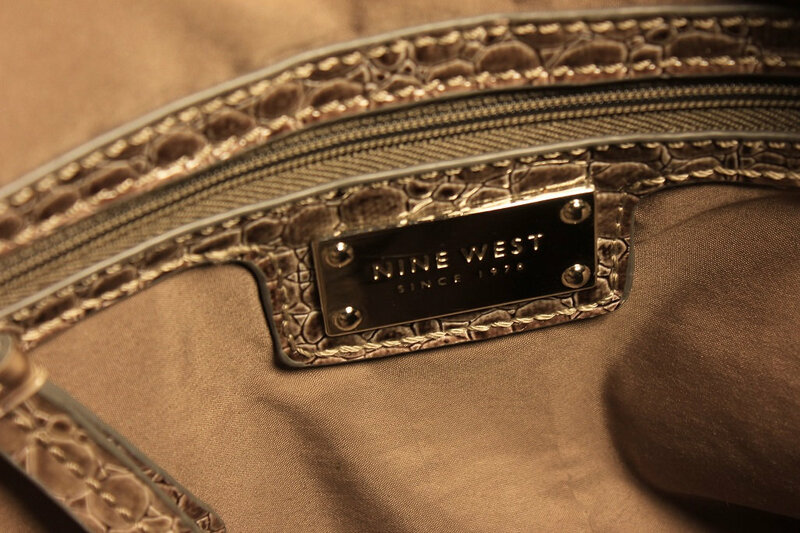 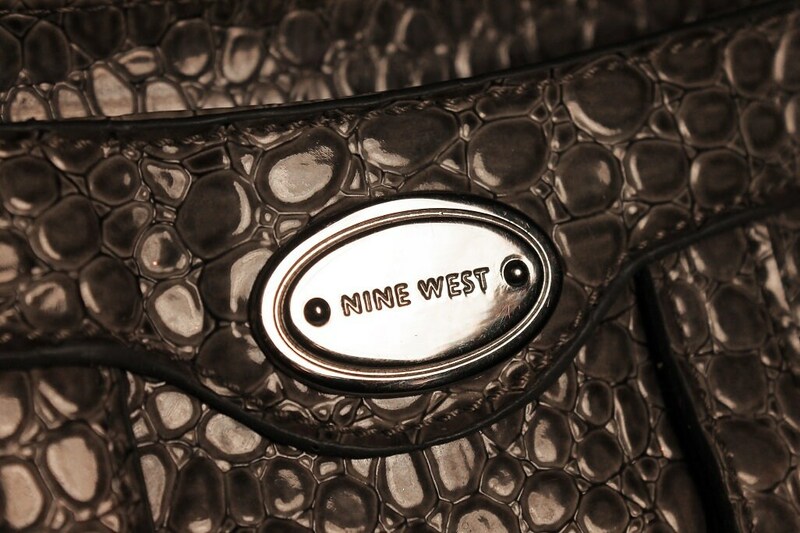 A gorgeous greyish brown faux leather tote shoulder bag by Nine West. 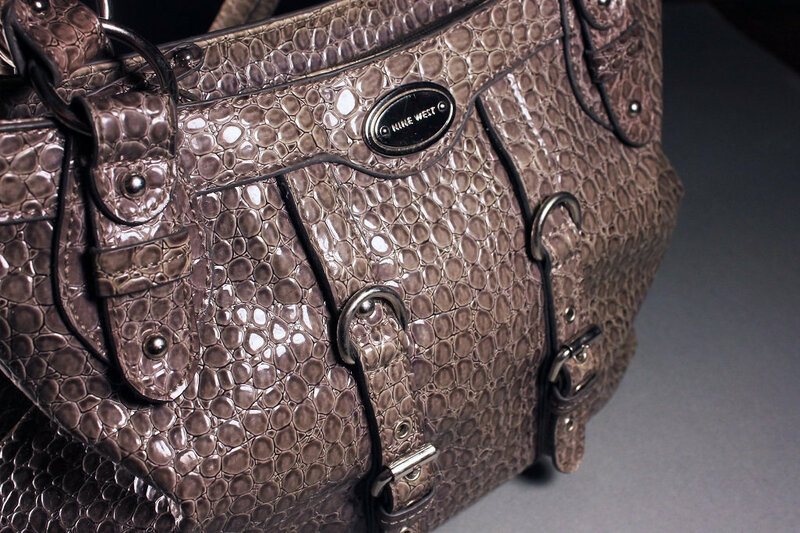 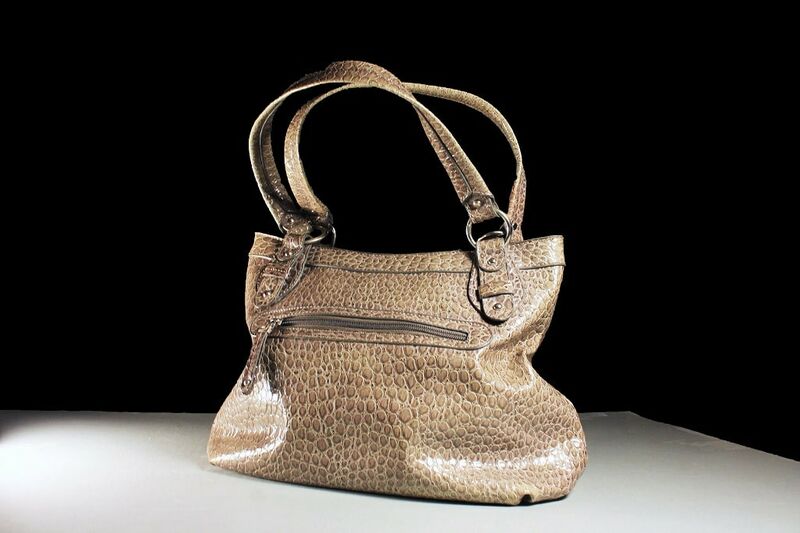 The bag is faux crocodile pattern and very roomy. 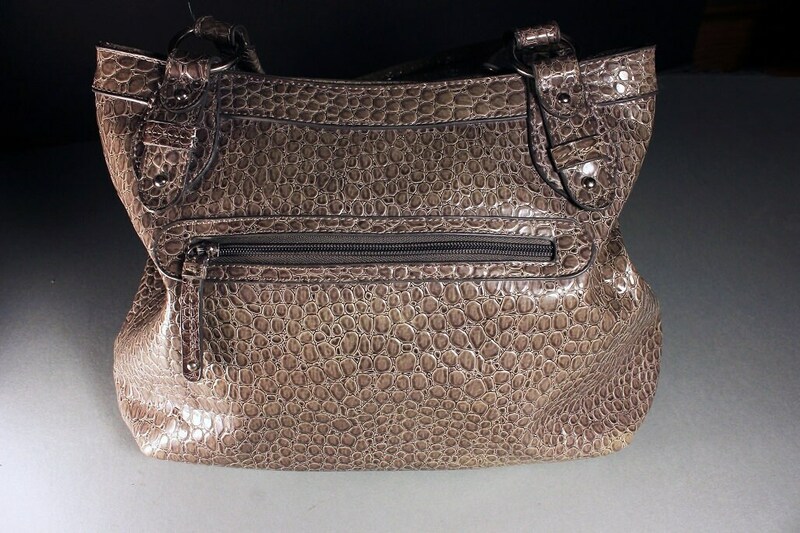 It has a zippered pocket on the outside that opens with a matching pull. 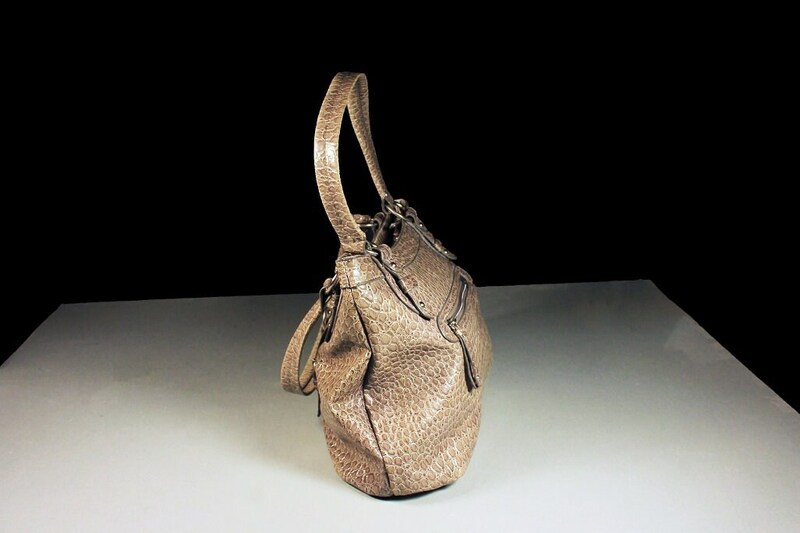 Inside the bag is a side zipper pocket with a pull and 2 smaller open pockets. 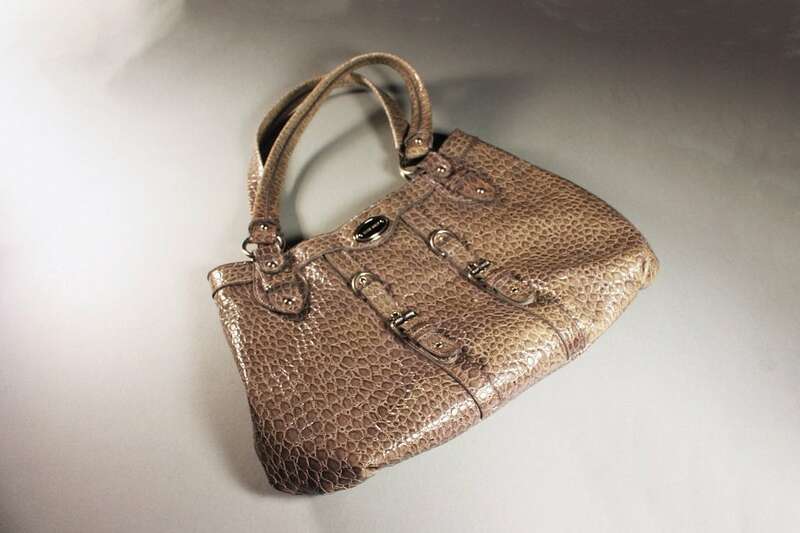 This bag is gorgeous (check out its condition below) and it would be a great treat for yourself or as a gift. 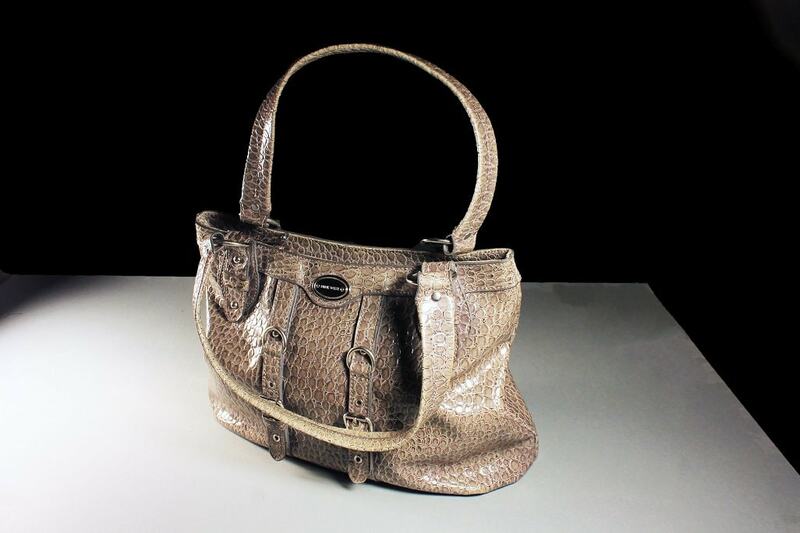 This bag is in "like new' condition. 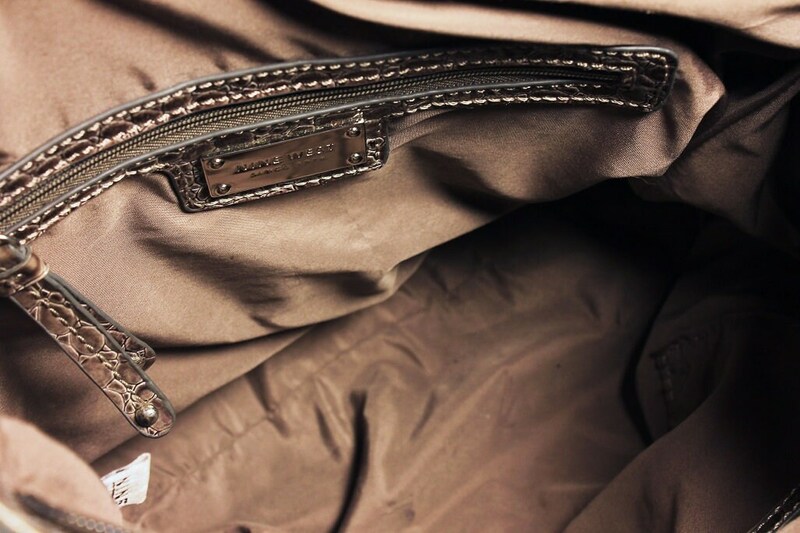 It has no rips, tears, or stains on the inside or out. 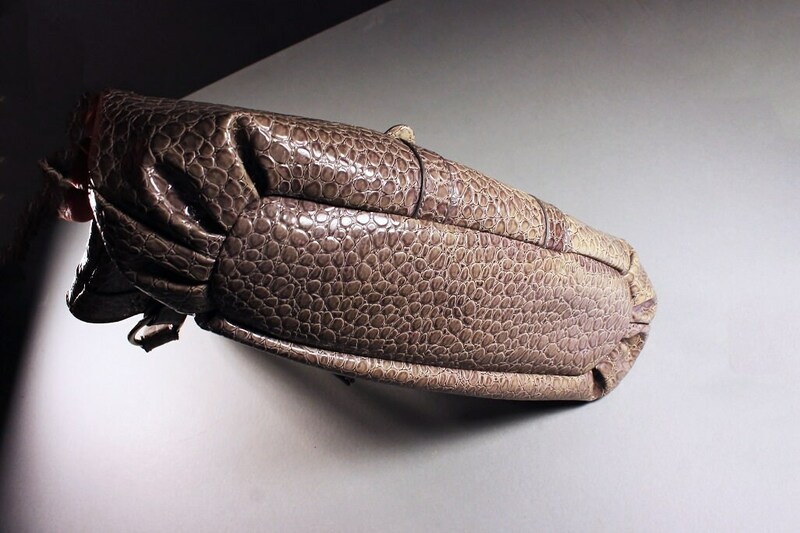 It looks like it was rarely if ever used.